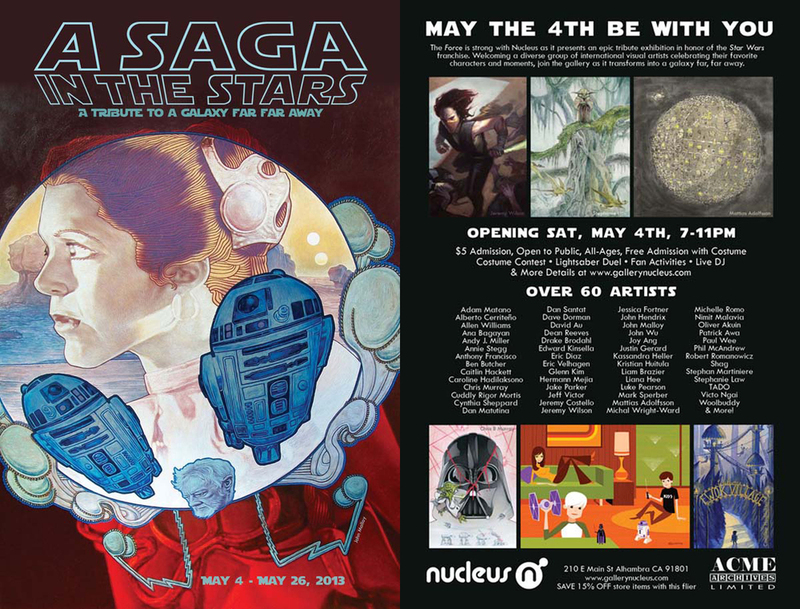 If you haven't looked at your calendar recently then you may not know that this Saturday is May the 4th. 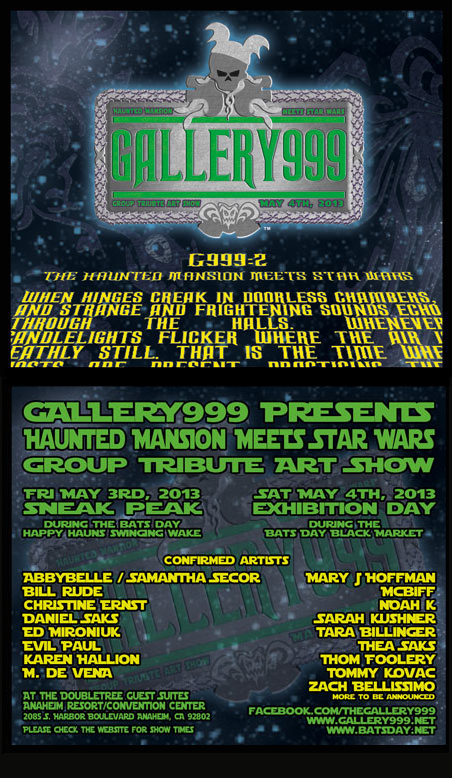 There are a lot of Star Wars tribute shows to choose from but here's two that I'm particularly fond of. I was asked not to preview my piece until the show opened but the gallery has it on their website :D If you want first dibs on the artwork (before the opening) then simply sign up for the preview list here. 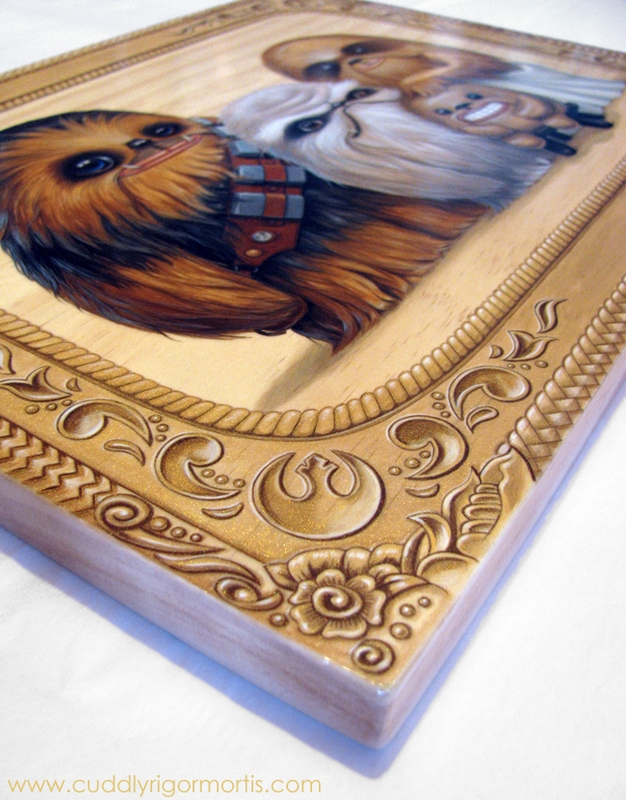 This is a large piece for me (15" x 11.25") and I really wanted to make a statement since Star Wars shaped the course of my life. 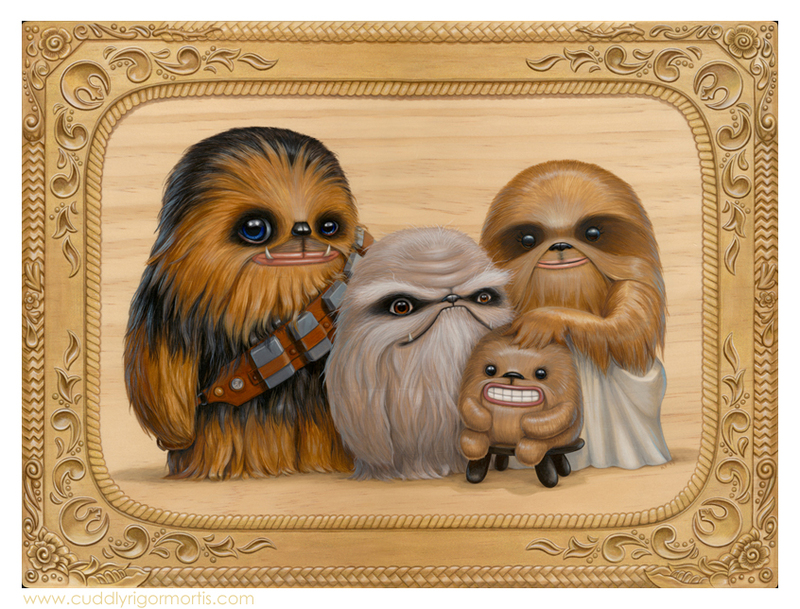 I present "Kaapauku Life Day Portrait" with Chewie and his family, Lumpy, Itchy and Malla (anyone see the Star Wars Holiday Special?). 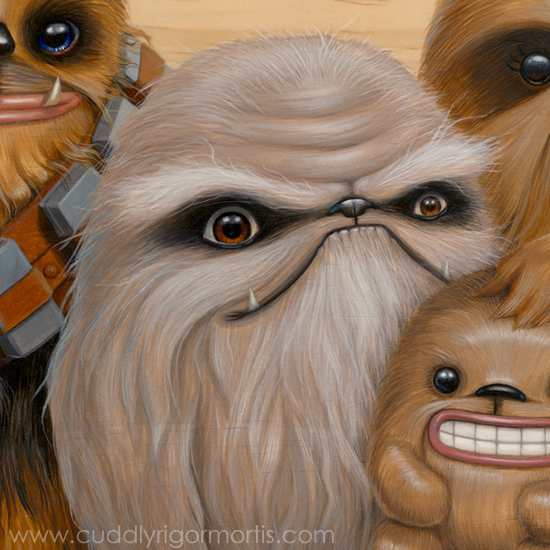 I hope this piece makes everyone smile because it was so much fun to paint! May the 4th be with all of us!